The joy of being in the wedding is only made more joyful when you are asked to be the maid or matron of honor. You will then have to make a speech. This free Maid of honor speech will hopefully inspire you with its Marriage Advice Quotes. This is the format for the speech I made this past weekend when my best friend got married. The first thing you want to do is open up with a joke. The reason is simple it will help you calm your nerves. It will get everyones attention and it will set the tone for your speech. The speech should be meaningful and fun. I decided to create a meaningful speech with advice. I thought I would share some of the great Marriage Advice that I shared with her and her husband. You know I love a great love story so I brought in some of my love story and the sercrets to a happy marriage marriage from my life. It is always great to share your experiences and findings. This is what I told them. I told them why I was friends with the bride. What makes her special to me. Then I went on to explain what will make those qualities special to her husband. I gave her this pivotal piece of advice. 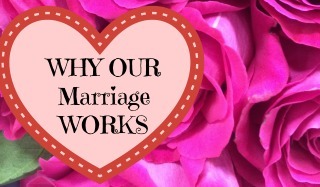 Marriage is constant communication of your expectations, needs, desire, and it is your spouses role to achieve those. I told them that my husband asks me every night if there is anything else he needs to do to make sure I am happy. He is committed to my happiness and I am committed to his. Marriage is about accepting the person you married and not trying to change them. Marriage is ignoring what isn’t important and focusing on what is important. Then you should share a story. I always think about my husband and how he holds my hand through out life. It made me realize that the first thing you do after kissing when you are married is you hold hands. When you hold hands you will need to understand that sometimes you will lead and sometimes you will follow and sometimes you will arrive at the same time but you should also do so together. Do something sentimental provide a trinket or object that the bride and groom can keep from your speech. I bought the bride a special box to keep their special trinkets in which was a tradition in her family. When I was the Matron of honor for my sisters wedding I brought items that represented the qualities necessary for a successful relationship. You need to leave your bride with something tangible to take away. Then you need to ask everyone to raise their glasses as you toast their relationship and future together.